A new poll conducted by Hill TV shows 72 percent of voters want President Donald Trump to face a primary challenger in 2020. 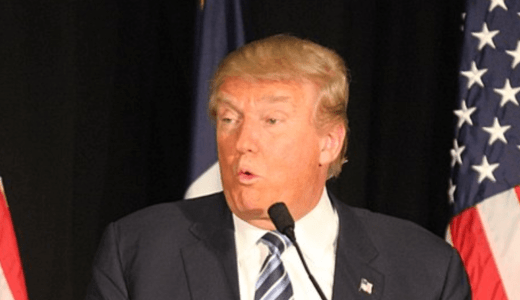 Hill TV and HarrisX released a surprising poll, which overwhelming shows 72 percent of all respondents would like to see Trump face a primary challenger in the 2020 presidential election. When broken down by parties, 43 percent of Republicans, 78 percent of Independents, and 91 percent of Democrats were in favor. Liz Copeland, a GOP strategist and the founder of Urban Conservative, believes Trump’s behavior in Paris, the way he responded to Republicans in Congress who lost during the midterm elections, and his decision to move forward with replacing Attorney General Jeff Sessions can explain why some voters on the right are shifting their stance. “I’m not quite sure that he has the full confidence of the entire Republican party,” she said. Chuck Rocha, the president and founder of Solidarity Strategies, told Hill TV that it’s currently “volatile on both sides” following the midterms. “There’s something out there where people are frustrated with both parties,” he said.